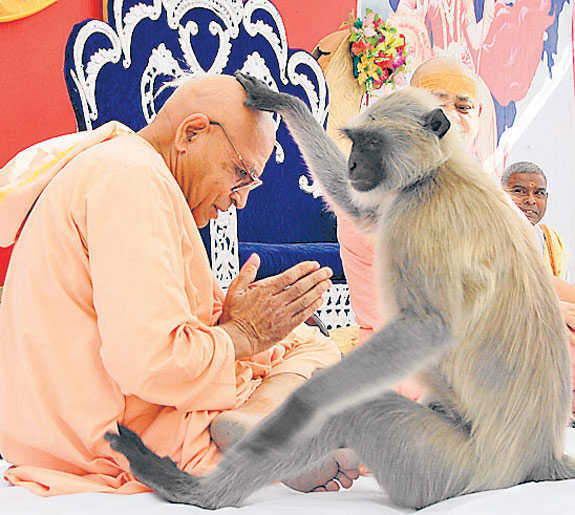 Divine Touches of Master: Amazing Darshan! Amazing darshan while Sri Ram Katha was being sung !! This happened in Kalika Mata temple in Ratlam, M.P., last month. Pictures tell the true story. 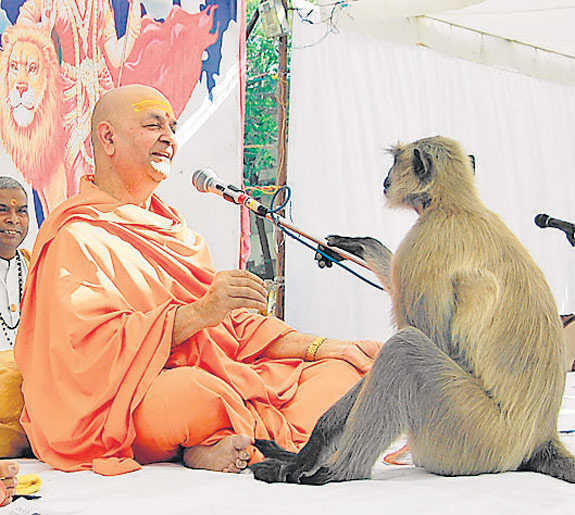 The Saint was telling the story of Ramayana and "Hanumanji" appeared in the form of langur !! 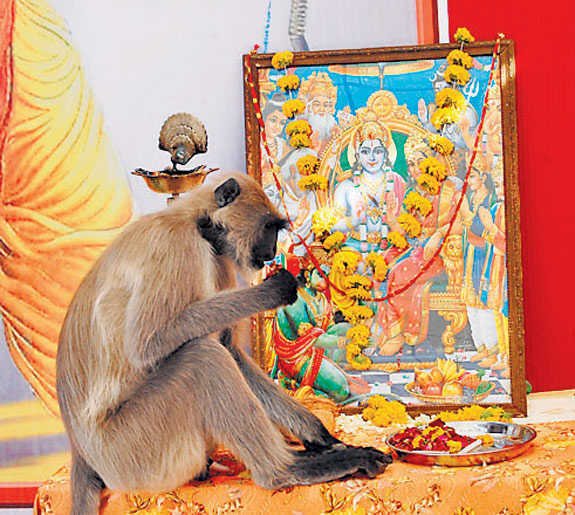 The langur first went and sat near the singers and listened to the kirtan, held the mic of the mahantji, got blessed by him, then "blessed" the saints and then sat in front of Shri Ramji's photo and took some of the flowers (note similar position to Shri Hanumanji in the framed picture) and left quietly. Bolo Siyavar Ramchandra ki Jai. 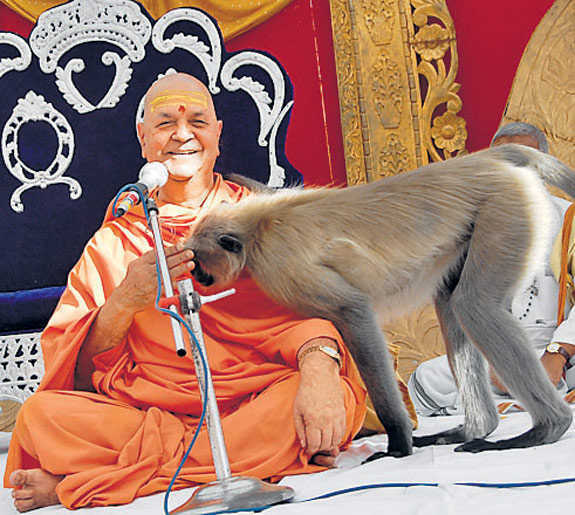 Pavanasuta Hanuman ki Jai.